It's been a little while since I've participated in the Classics Bookclub. I HAD to read Rebecca . I've read it twice in the past and I enjoyed it just as much this time. (Sad but true facts about myself: I cannot remember stories very well so I'm happy rereading books. So far, each reread of Rebecca has been fun because I can never remember how the story plays out. The reason I started a book blog in the first place was entirely for myself - so that I could write out my thoughts on books and therefore remember them with more clarity.) I also came to the conclusion that after this particular reading, I would never read it again. Why's that? 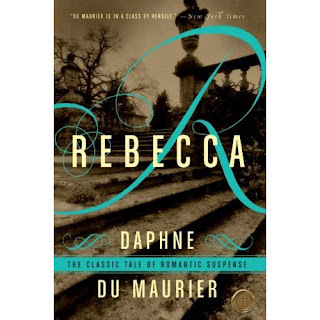 Although I think that Daphne Du Maurier is an extremely clever writer and makes beautiful usage of the English language, she also wrote a very broken story with Rebecca. What do I mean by that? Broken stories portray accurately evil as evil and good as good, but evil wins. Something is broken, not right, in need of fixing. In the case of Rebecca , we meet an unidentifiable, but young female, who meets Maxim de Winter who is "on holiday" in Monte Carlo. The female (who is never directly named) is the story teller and through her eyes and emotions we have fellowship with the other main characters in the book, namely Manderely (which is a character in its own right), Maxim (her husband), Rebecca (Maxim's first wife), Frank (Maxim's best friend and business advisor) and Mrs. Danvers (the housekeeper). The story revolves around our story teller's fixation on Maxim's first wife, Rebecca, for whom the book is named. Throughout the book a picture is built of Rebecca. We are given tidbits about her beauty, wit and charm as she is presented to be the best of women, loved by all and all together good. It is only as the story unfolds that we see that Rebecca is not "all that" and that Maxim hated, and not loved, his first wife. In fact, he hated her so much that he killed her. Suddenly, the new Mrs. de Winter (and our story teller) discovers that despite all of her insecurities as a wife of Maxim and mistress of Manderely, he really loves her and her alone. Because of the love that she discovers that Maxim has for her, she will do anything to keep him safe from the consequences of the law. In short, she wants to do everything in her power to keep him from facing justice. She wants to do everything in her power to keep the law away from them and their apparent happiness. When it appears as if Maxim is going to face criminal charges for murdering his first wife, he seems almost resigned to the fact that his free life, as he has known it, is about to come to a close. He assumes that he will be brought before the court and condemned a criminal. He cannot see his way out of that. However, his current and unnamed wife, convinces him that they still have a chance for happiness if he will not made any admissions and assures him that it will be hard for anyone to point him out as the murderer. He hopes in her proclamations and, while not trying to hide the facts of his crime, simply offers up no confessions. He carefully sidesteps issues of responsibility so that he is free to continue on about his life and with his new wife at his side, content to lead a quiet life together where no court of law or sense of justice can interfere with their marital bliss. In all respects, they seem to succeed in this. Now, they do live in a grand house/estate affectionately known as Manderely. According to the Daphne Du Maurier website, Daphne was a child, she went to stay in a house called Milton that was rather grand in appearance. When she was older she met another house named Menabilly that captured her imagination and it is assumed that the two homes combined inspired the setting for Rebecca , known as Manderely. Manderely itself has a sense of grander to it. It also has places of wild that are unpredictable, being that it is situated right next to the sea. Parts of Manderely appear that they cannot be tamed, although other parts are incredibly beautiful. Maxim loves his family home and estate and will stop at nothing to protect it. Manderely has a certain aura about it that makes the reader long to both love and protect it themselves. However, all good things must come to an end and I'm HALF tempted to say that the complete story of Rebecca ISN'T a "broken story" because in the end, the de Winters lose their beloved Manderely to a fire. Their home, which they tried so hard to protect and shield from murder and bad press, is lost in a blaze that destroys everything that the de Winters held dear. That seems to be the only price that they have to pay for their sins and even though it's not enough, it does seem to satisfy some inner craving for justice. It's certainly a step in the right direction but is it satisfactory enough? I cannot decide. But I lean towards saying that the story is broken and therefore I lose any desire I might have to reread it again. Apparently I'm not the only person who is unsatisfied with the ending that Du Maurier gave to her classic tale. Other people have come along and tried to conclude the story on her behalf. In 1993 author Susan Hill had her work Mrs. De Winter published. In 2001 Rebecca's Tale was published. De Maurier herself said that Rebecca was a study in jealousy. This is exactly what we see come to pass in Rebecca. There is a great amount of jealousy. 1. Jealousy of the general public towards Manderely and the elegant lives that the public assumes the owners have. 2. Jealousy of the story teller towards Rebecca. 3. Jealousy of Maxim in guarding his beloved Manderely at all costs. 4. Jealousy of Mrs. Danvers towards the new Mrs. de Winter. There are painful lessons learned all across the board. Jealousy has indeed created strife, selfish ambition and every evil thing - including murder. The dissatisfying conclusion is that Maxim gets away with murder. This tugs at the heart because we want the new Mrs. de Winter to finally experience love and affection from Maxim and it seems the only way that will be possible is if he is not punished for his crime. 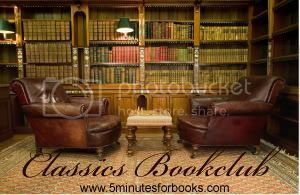 Part of the reader cheers when love is finally acknowledged and satisfied. Du Maurier was a good story teller herself, drawing the reader in by presenting a main character who you pitied and felt sympathetic towards. When Maxim finally tells her he loves her, you don't want him going anywhere. But he simply must because he has murdered. However, the story concludes with Maxim and Mrs. de Winter escaping with their lives and their mutual happiness, although they do lose Manderely. It's a good story. It is engaging. It is tempting on all levels. But in all of that, the story is not satisfactory because what needs to happen does not come to pass. Did I like this story? Oh yes, I did. I loved it!!! (Otherwise I wouldn't have read it three times and kept it on my personal bookshelf.) But can I enjoy it again? No, I can't. It's beautifully done and it IS a good study in jealousy. It's a brilliant study of jealousy. But it concludes poorly and I can't revisit it again. Good. Brilliant. Broken. And completely fascinating to me! I never thought about it in quite this way. I was always just happy that the narrator finally got Maxim; but it's wrong that he gets away with murder. I still love the book, though, and I'll probably read it again. Interesting thoughts!! And yes, I agree. I alluded to it a bit in my review about the ending. The fire was so tidy, and then Maxim didn't have to deal with the consequences of his actions -- live among the people and their doubt, be surrounded by the reminder of what he did etc etc. Did that quote about a broken story come from one of the culture books you read recently? I agree with the sentiment. It's one reason I try to avoid books/movies that deal with married people starting over -- find the love of their life etc. Echoing everyone else...I never thought about it that way. I wasn't very clear on whether Maxim intended to murder her. I think the story is tied a little too neatly with the suggestion that Rebecca wanted him to kill her, and therefore she could continue her grip on him (through guilt) past the grave. It was a story I enjoyed very much, but I don't know that I would reread it. I would like to see the movie, though! I agree. If he had gone to prison and they were back together after he got out, perhaps. And I understood the tense desire to keep him out so they could be happy. But when I sat down to write, I got so caught up in my frustrations with the "heroine" that I never even touched on your points (so I'm glad you did). I'm glad I finally read it. Another novel I read this week even referred to it and now I knew what it was about. But I don't think I'll reread it like I do others. Thanks for recommending the movie, I wondered about it. Thank you for sharing your thoughts on "Rebecca". It is a book I had been hoping to read...and your review of will be nice to keep in mind if/whenever I do sit down to read the book. The Hitchcock vs of Rebecca works to fix the "broken" aspect of the story as it changes how Rebecca dies and it is an accident, not murder. I love your bible reference James 3:16. I think that verse fits perfectly. While reading, I did not think of the story in terms of jealousy but after reading your review...yeah, I can see how this theme runs deep within the story. I was camping all week, just posted my review review. What an excellent analysis. I tend to get caught up in the story and not be able to think so critically or biblically about the actions of the characters, especially right after I've finished reading. I would point out, however, that the beginning of the novel implies that happiness has still escaped the de Winter's. I think it's the first chapter where the 2nd Mrs. de Winter talks about their life of self-imposed exiled in a Mediteranean hotel where they try to avoid any topic that reminds them of Manderley. They hide their grief and fear by talking only of trifles such as cricket matches. It seems that in spite of professed love, their relationship remains superficial and she still walks in fear of upsetting the delicate balance of Maxim's supposed happiness. When you consider that brief glimpse of their future life, I thought it accurately portrayed the consequences of sin even though they were able to evade legal justice. Their marriage was founded on deception, and even though their love was sincere they were forced to (or chose to) feign happiness to deal with the tragedy of their lives. I think I read this book years ago. I have a negative feeling towards the book but couldn't remember the story until reading your review. Glad I didn't bother with it again. I'm glad I wasn't alone in my feelings about this one...both enjoying the author's skill with the language and the ethical problems of characters. I didn't go into the detail you did and probably wouldn't have done it near so well. I do like the movie...especially the fact that her death was made an accident and not murder which eliminates most of the ethical issues. Great review!